Health Atlast Providers Vishal Thakral, M.D. Dr. Vishal Thakral is double board certified in Sports Medicine and Physical Medicine and Rehabilitation, Johns Hopkins Physical Medicine and Rehabilitation trained. Dr. Thakral is Clinical Assistant Professor of Physical Medicine and Rehabilitation, Western University of Health Sciences. His primary focus is non-operative orthopedics utilizing musculoskeletal ultrasound guided procedures to perform state-of-the-art treatments such as Platelet Rich Plasma (PRP), Prolotherapy, and Regenerative Medicine. Many musculoskeletal and orthopedic injuries are often treated by methods such as physical/chiropractic therapy, cortisone injections or even surgery, however regenerative injections can help repair many injuries to the joints and spine. 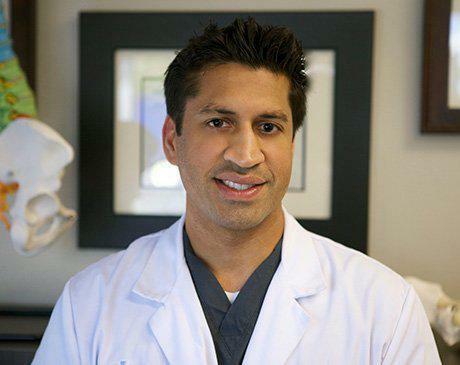 Dr. Thakral is passionate about diagnosing underlying causes and pain generators to specific orthopedic conditions and tailoring a treatment program that consists of non surgical interventions.